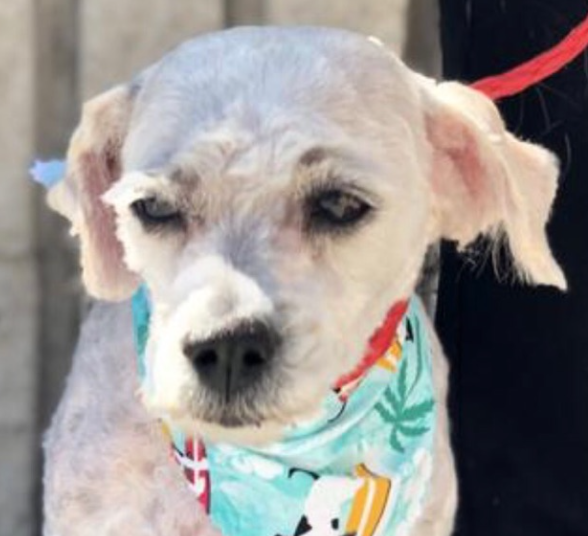 ***ADOPTED*** Our Pet Pick, Zoey is a 3-year-old Bichon Frise mix and she’s looking for her forever home. This little girl will steal your heart. Once she knows she can trust you, she’ll be begging for belly rubs in no time. She just wants to be taken care of for all of her days. It’s expected that at her young age and body size, she has a long life ahead of her. Zoe came to the Nevada SPCA when her previous guardian felt they did not have sufficient time to dedicate to her. She’s been to the groomers and is up to date on all her shots, is spayed, micro chipped, and ready for new beginnings with you. She gets along great with other little dogs. But as always, please bring any other dogs and kids with on your meet and greet with Zoe. Zoe will make her debut at 2 this afternoon, at Subaru of Las Vegas. They are located at 6455 W Roy Horn Way, Las Vegas, NV 89118. We will be streaming it on KXNT.com and on our Facebook page: KXNT Newsradio. When you adopt Zoe, you will get a $25 gift certificate in doggie dollars from Subaru of Las Vegas to be spent on doggie goods at the accessories counter.